Sussex is proud to announce that we are the recipients of two ACE Awards for our work on-behalf of the Dairy Farmers of Canada during the Trans-Pacific Partnership negotiations. 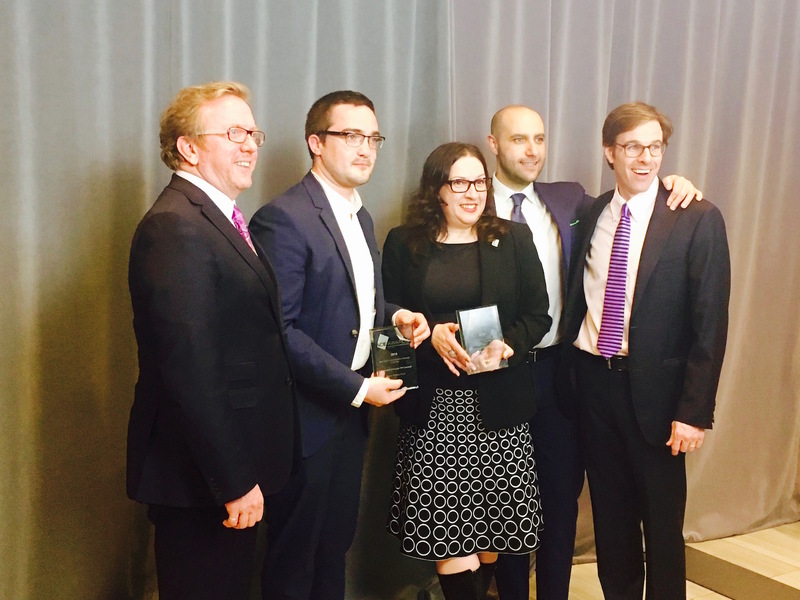 We won in the categories of “Best Government Relations / Public Affairs Campaign” and “Digital Communications Campaign of the Year” for our groundbreaking digital advocacy campaign, “Canadian Milk Matters”. Working with our digital partner, Adrenaline Digital, and creative partner, o2 Marketing, we targeted likely supporters across Canada and highlighted the value of supporting the Canadian dairy industry. Our efforts helped mobilize over 35,000 supporters to take supportive action, shape the conversation, and advocate digitally on our client's behalf at a critical moment for the dairy industry. The ACE Awards are presented by the Canadian Public Relations Society Toronto and recognize Toronto’s most talented and innovative public relations campaigns. We’re thrilled with this result and would like to thank our outstanding client and partners for making it possible to execute such an impactful campaign, which delivered the results we needed.